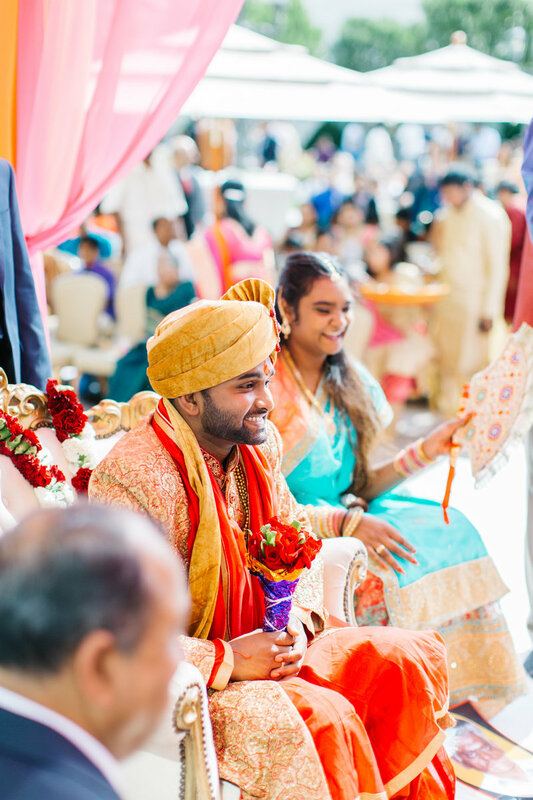 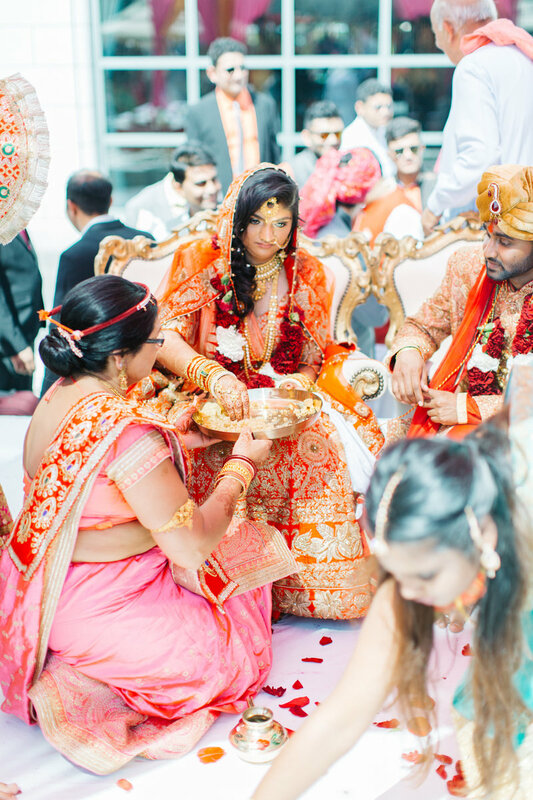 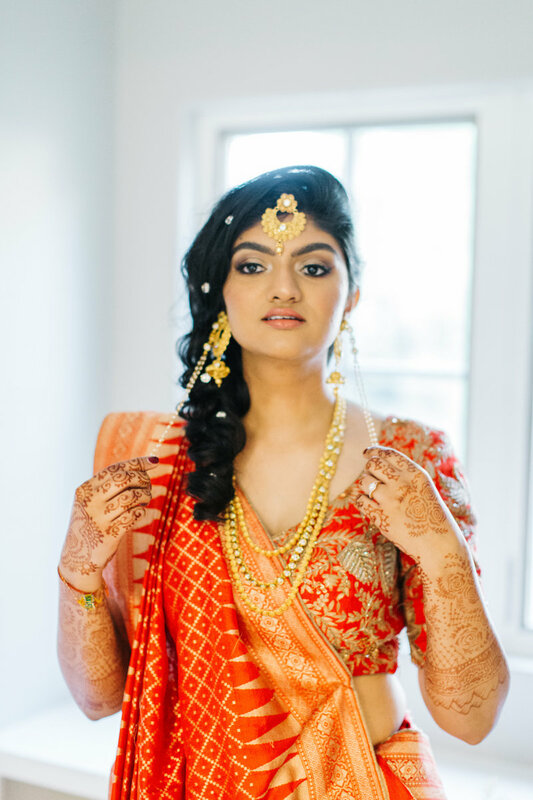 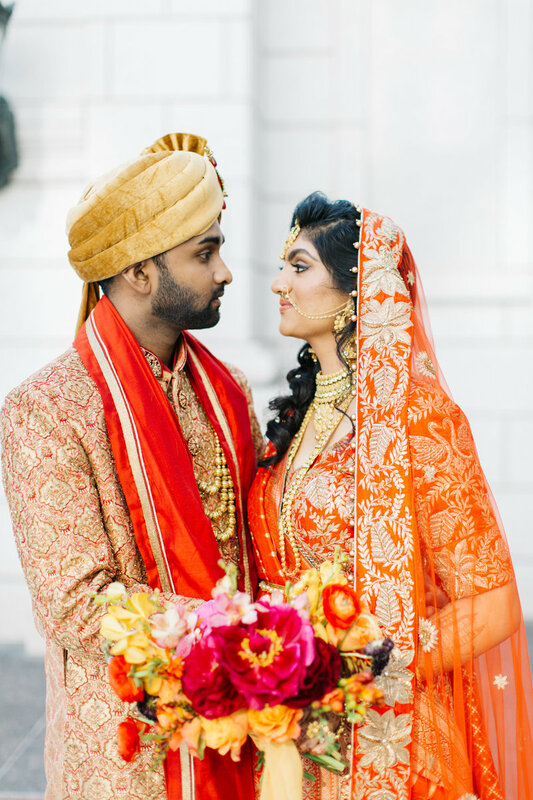 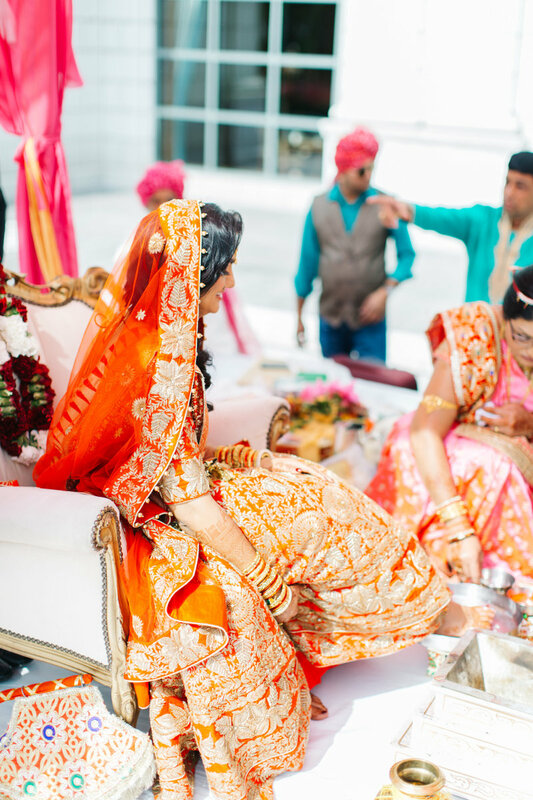 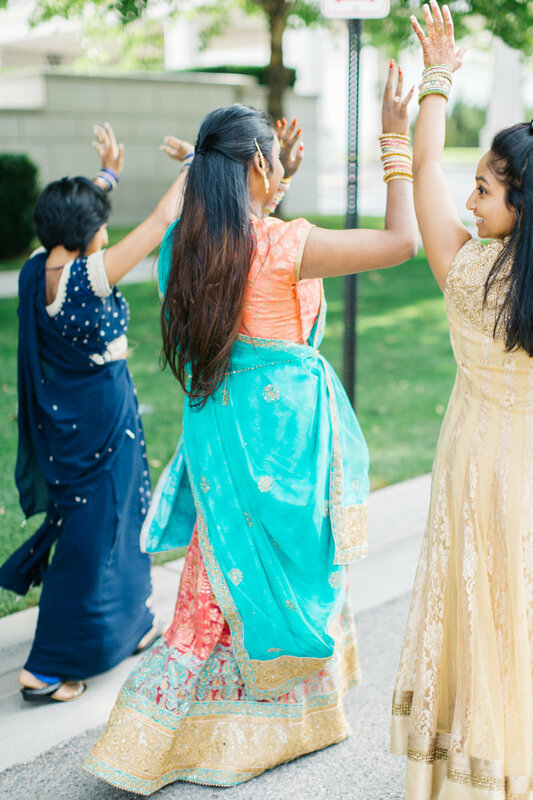 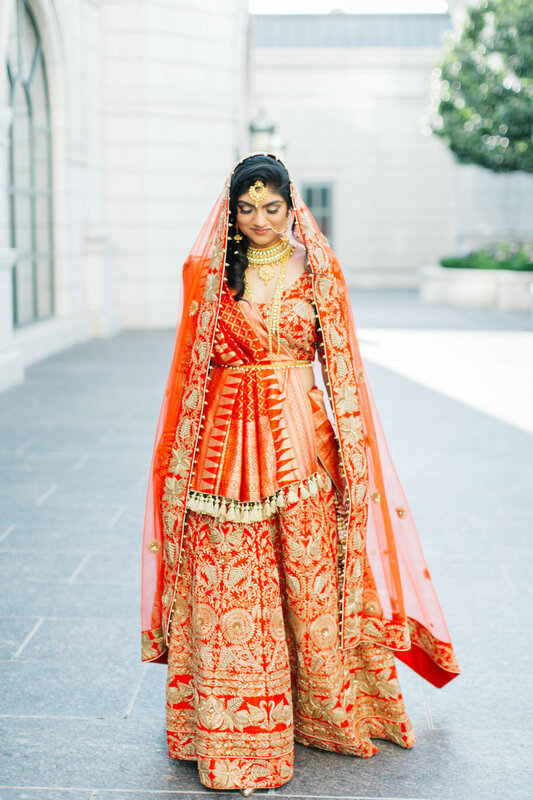 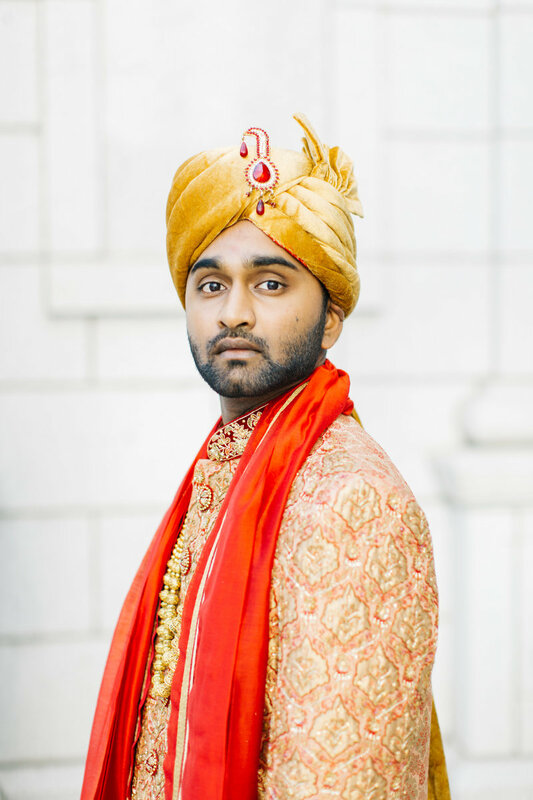 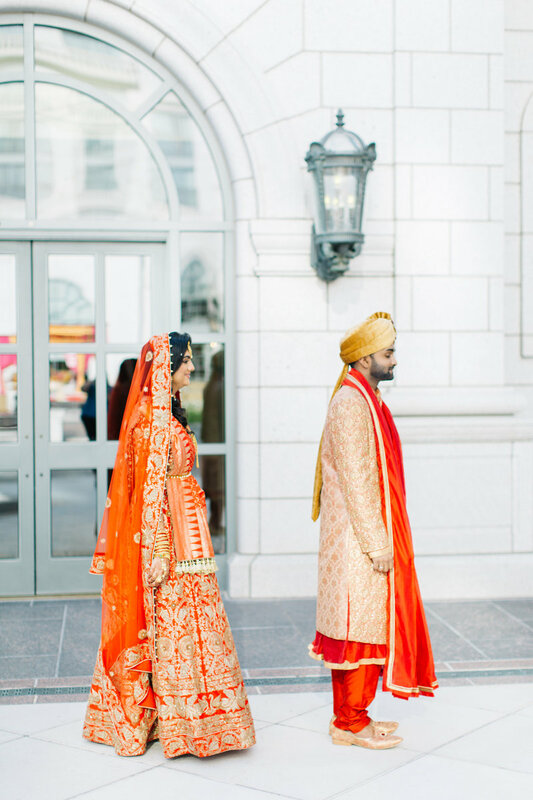 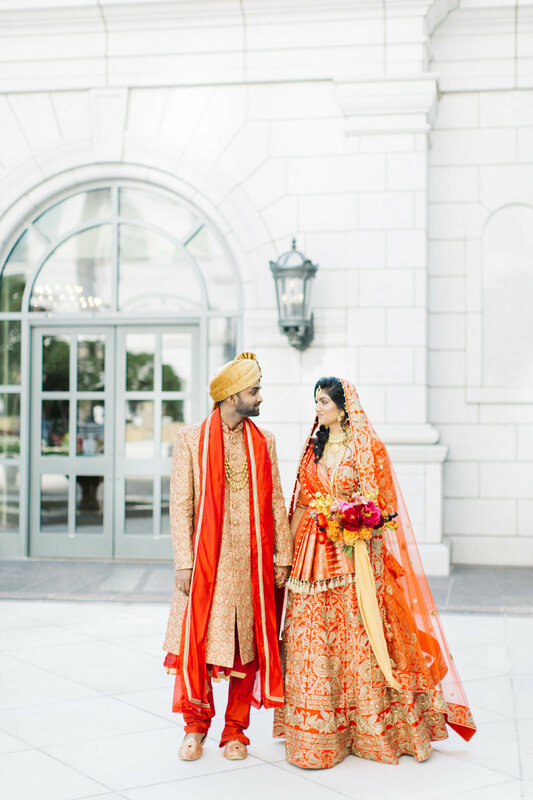 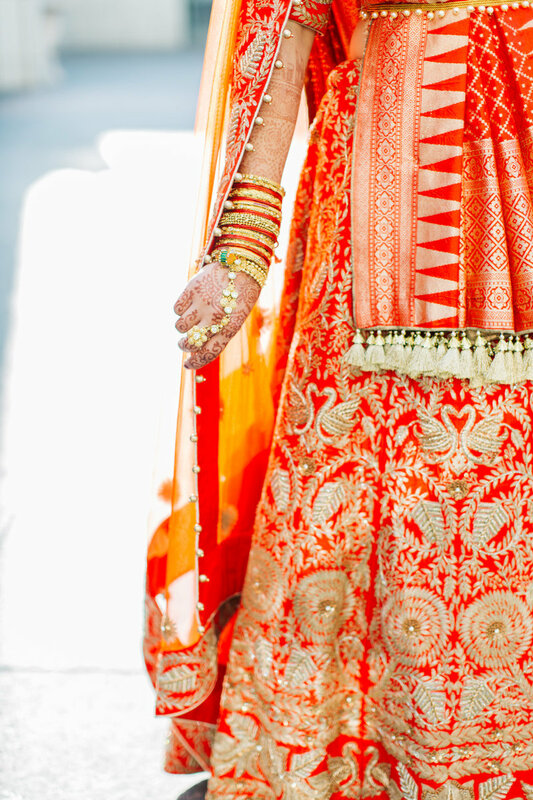 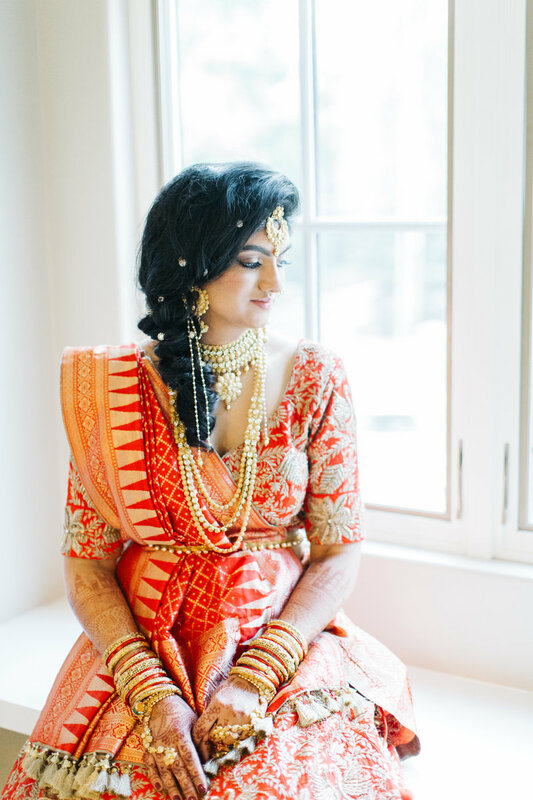 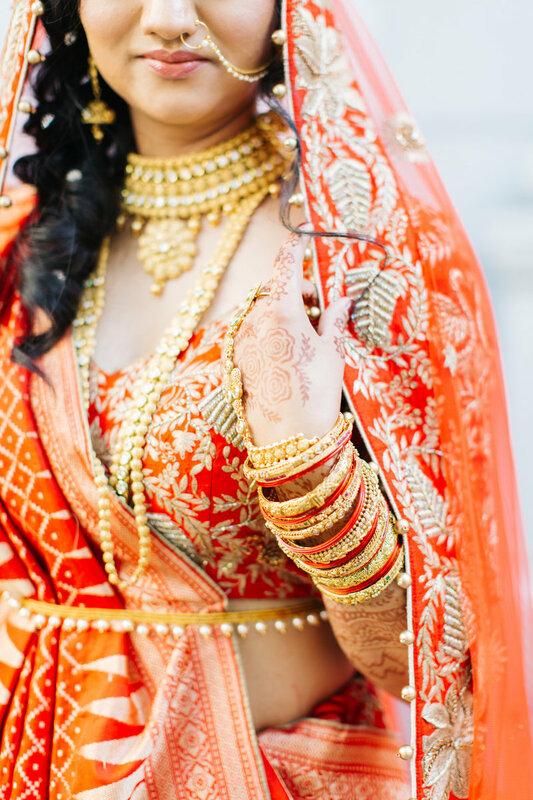 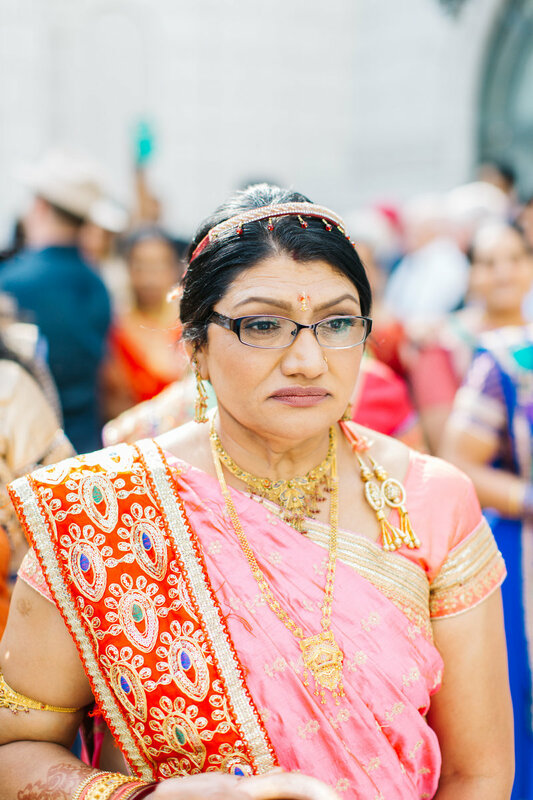 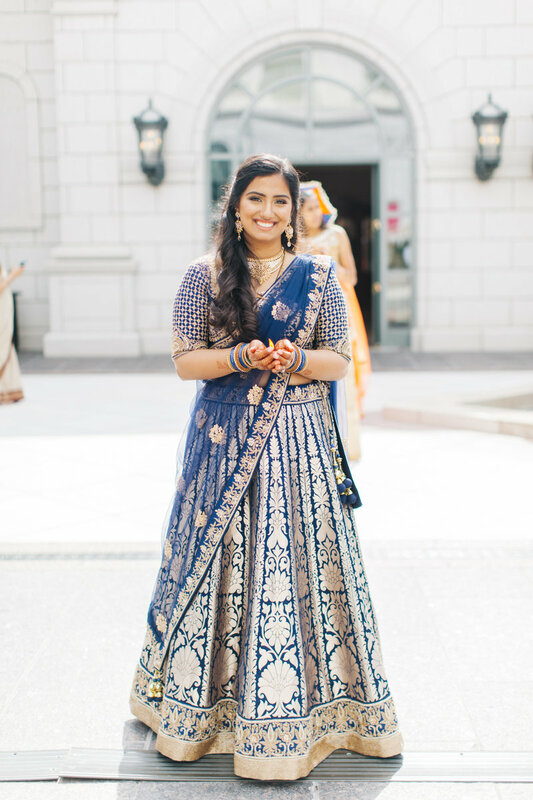 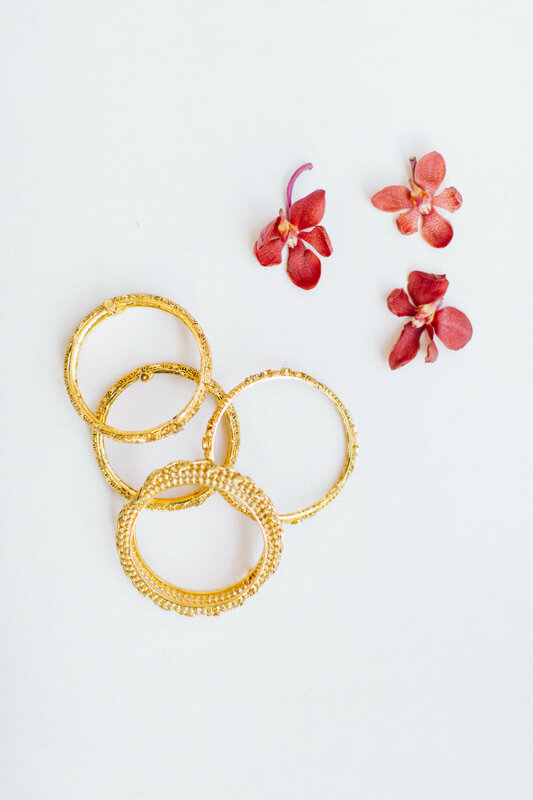 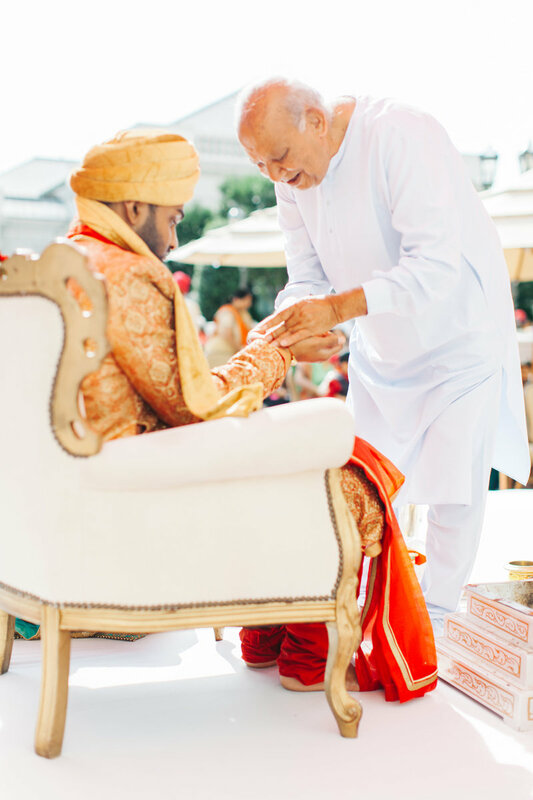 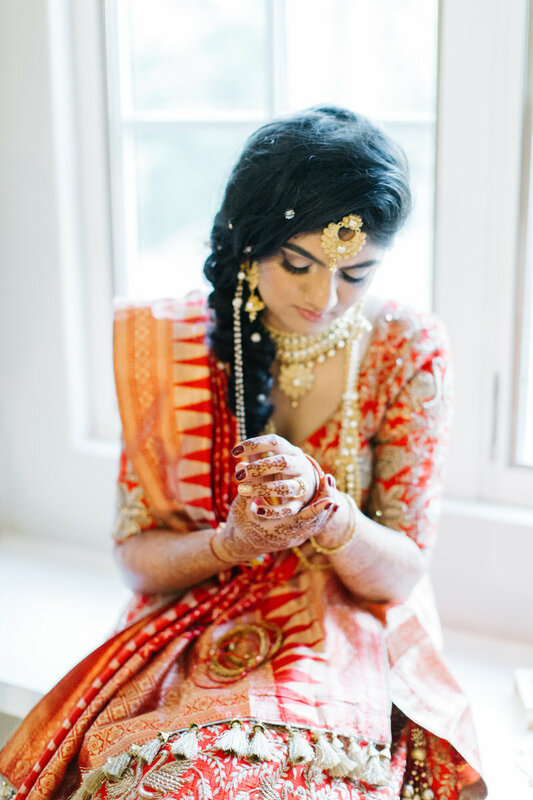 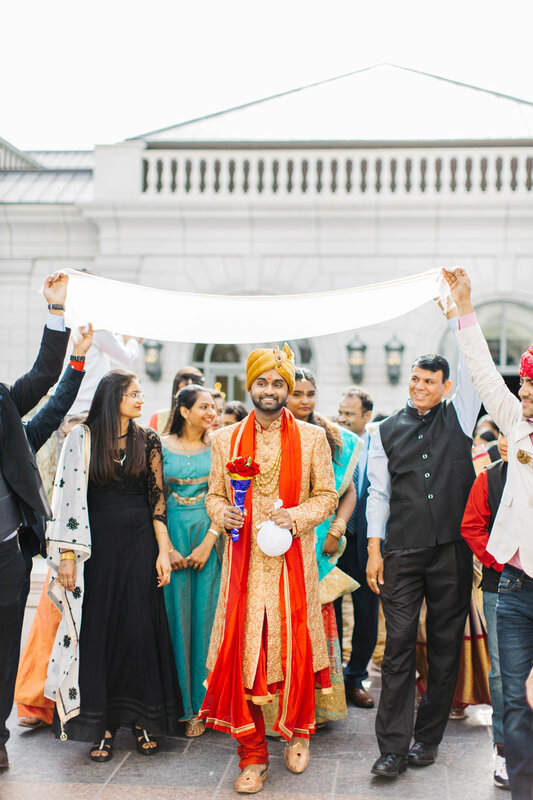 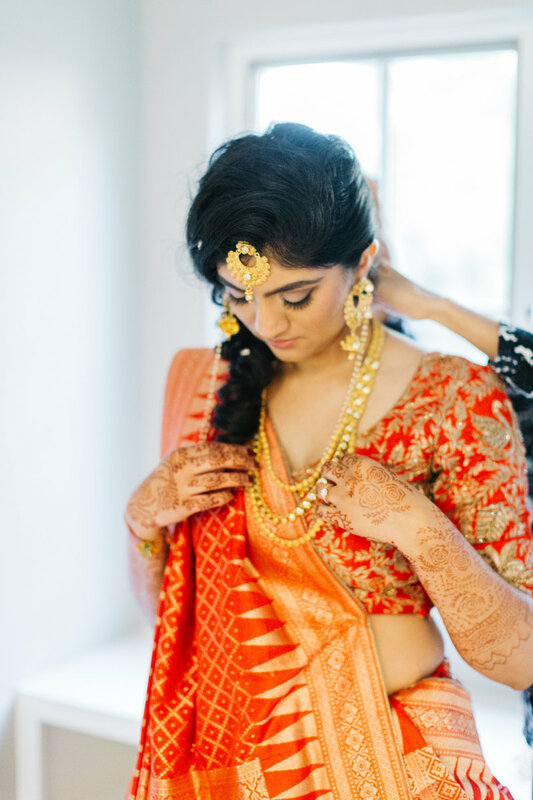 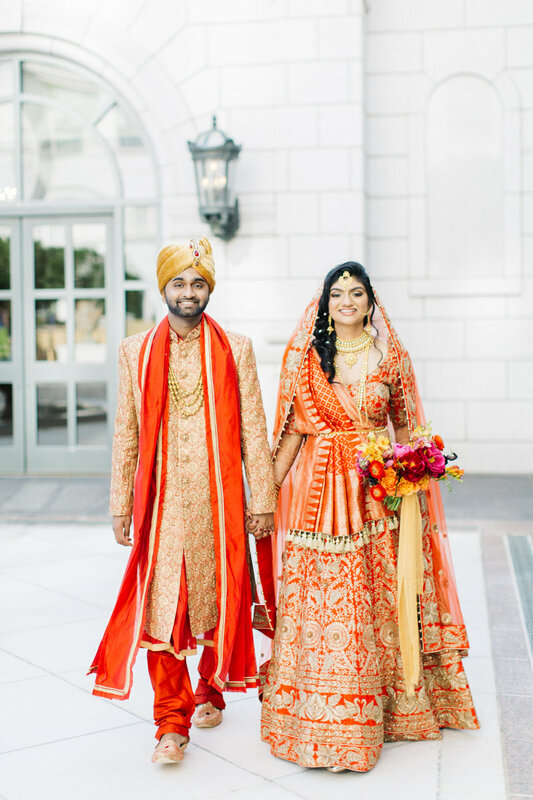 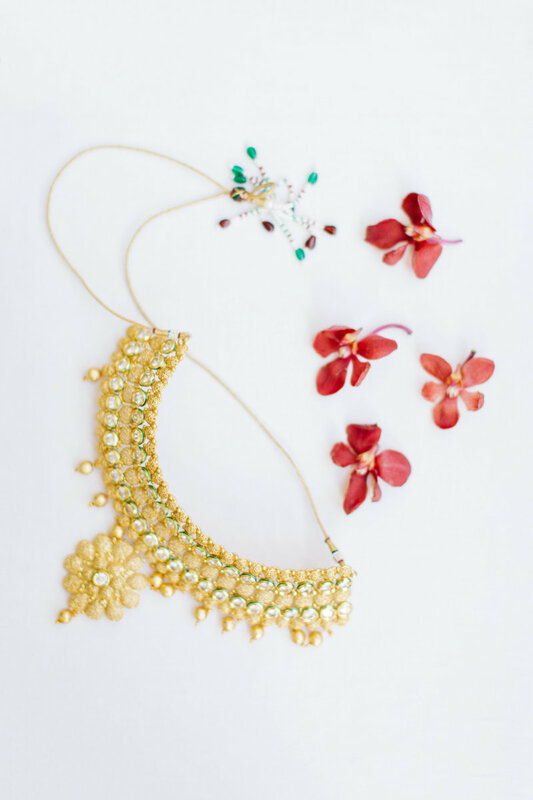 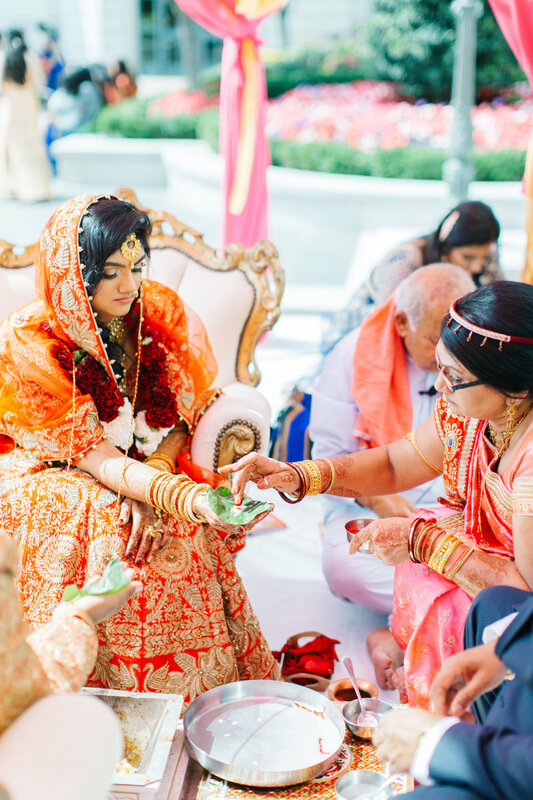 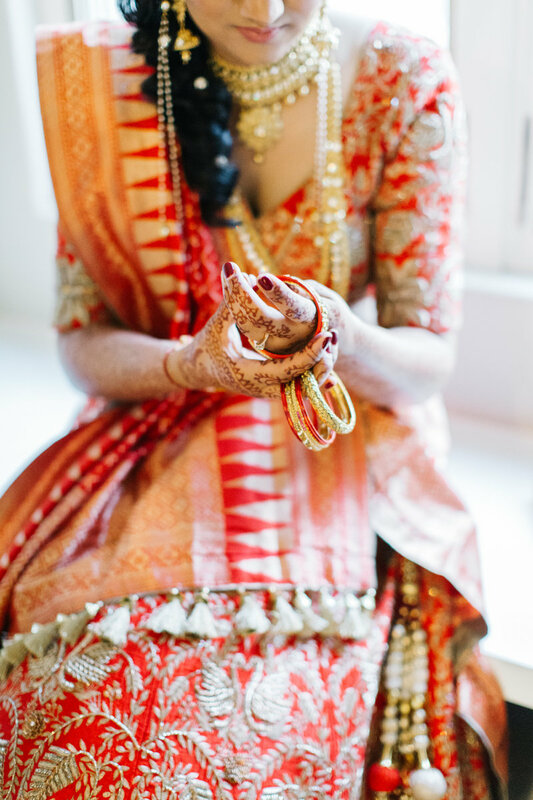 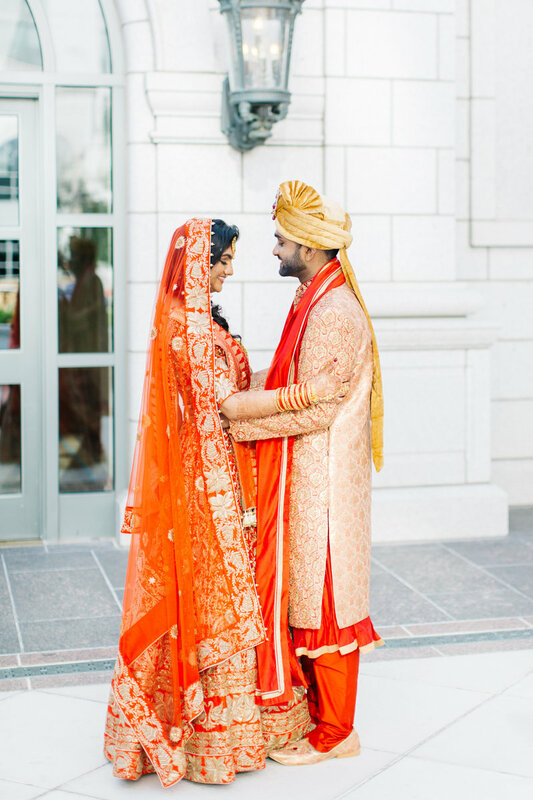 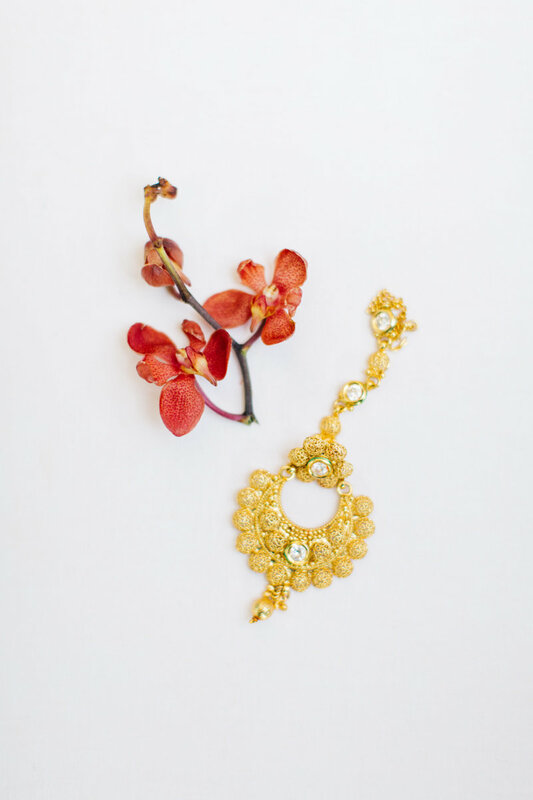 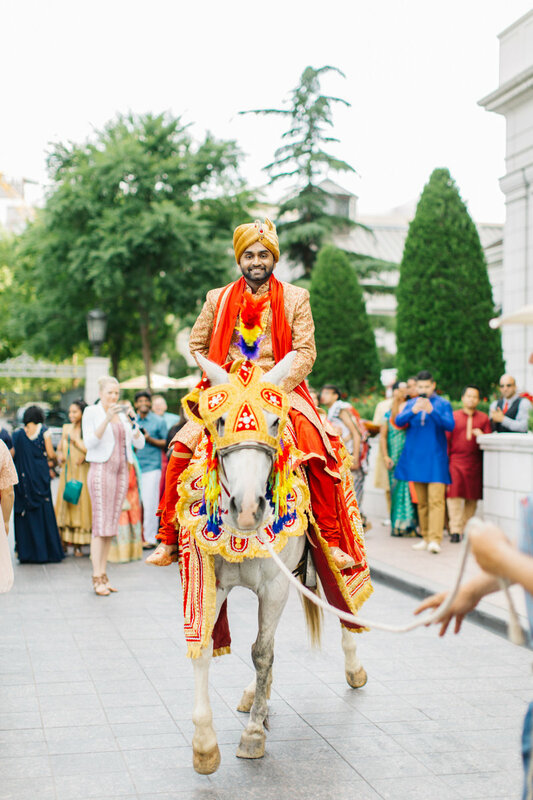 From our feature on The Knot, "Mamta Chaudhari and Jay Dandapani’s summer wedding was a vibrant, modern affair laced with Indian tradition. 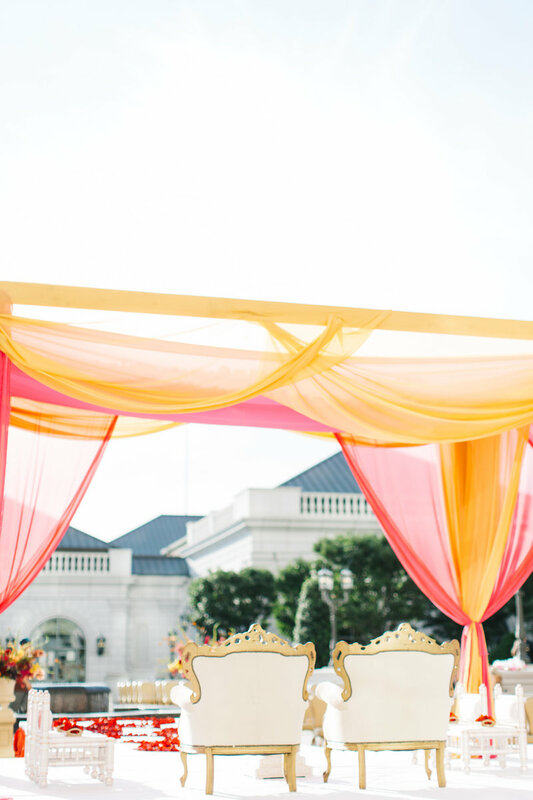 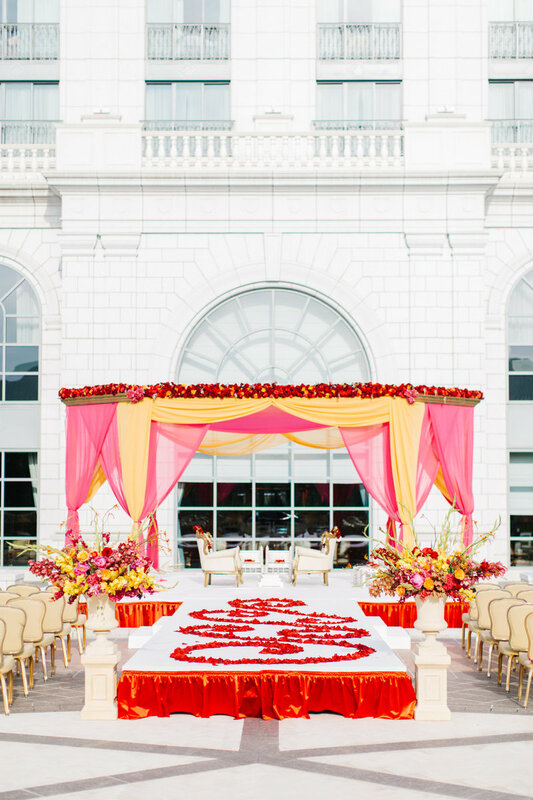 The three-day affair was a celebration of vibrant color, with a palette of orange, gold, yellow, pink, red and purple infusing the elegant Grand America Hotel with fun, festive feel. 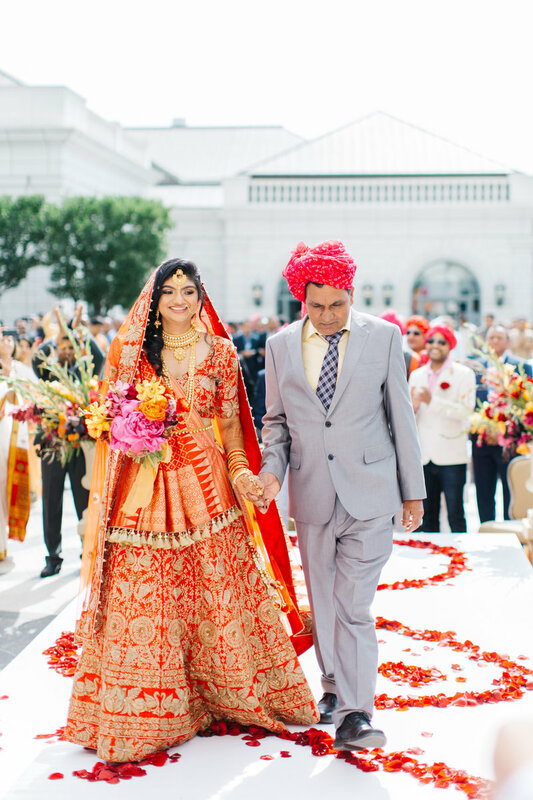 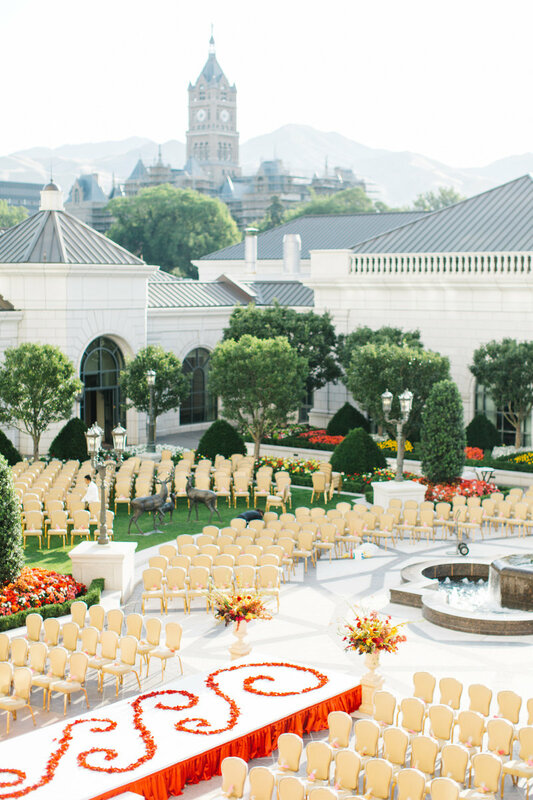 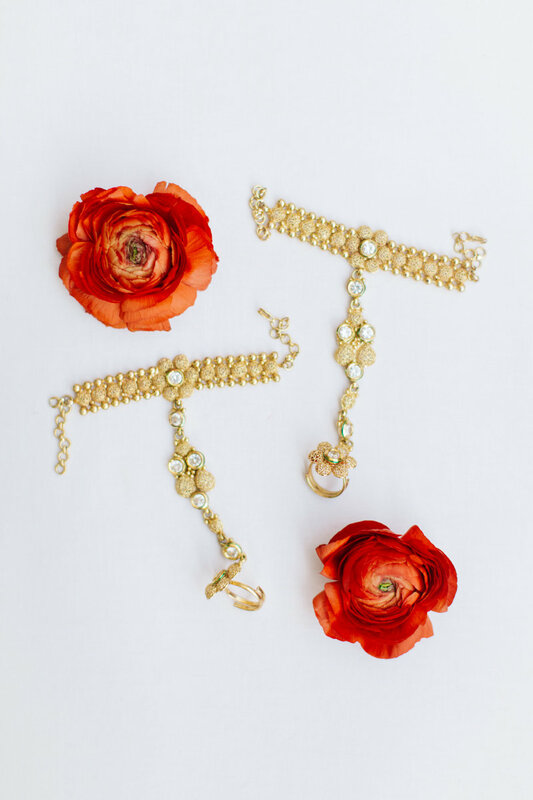 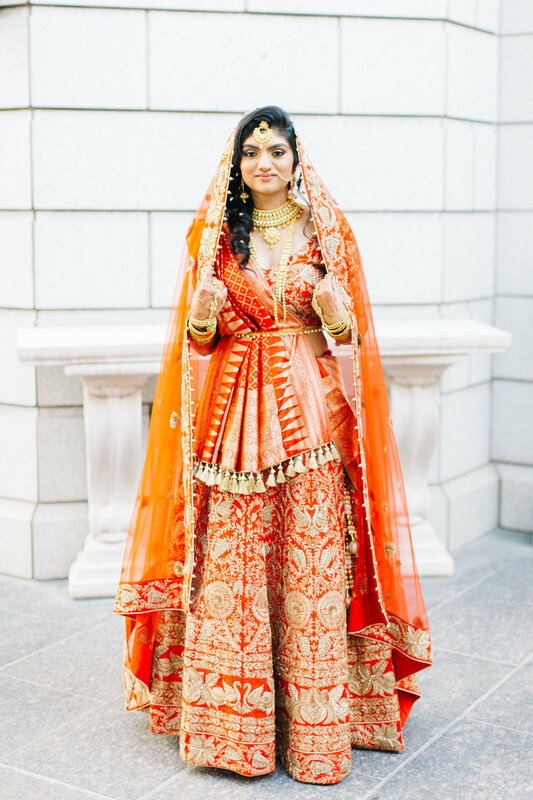 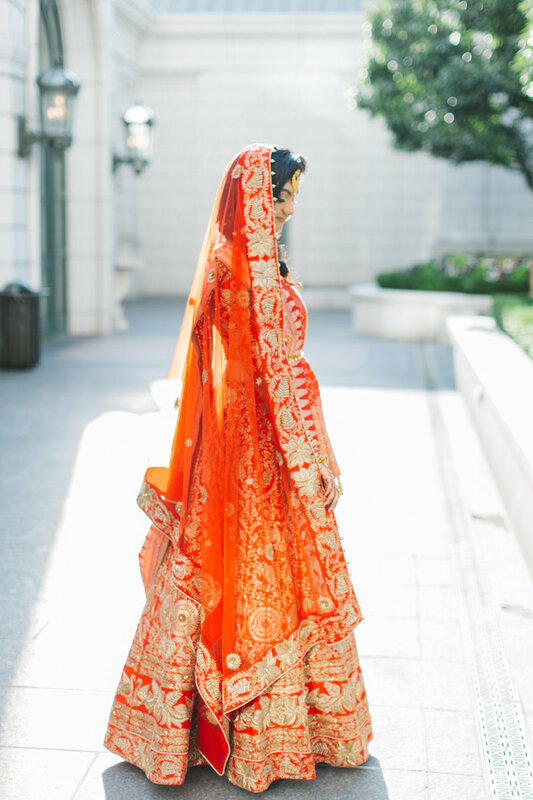 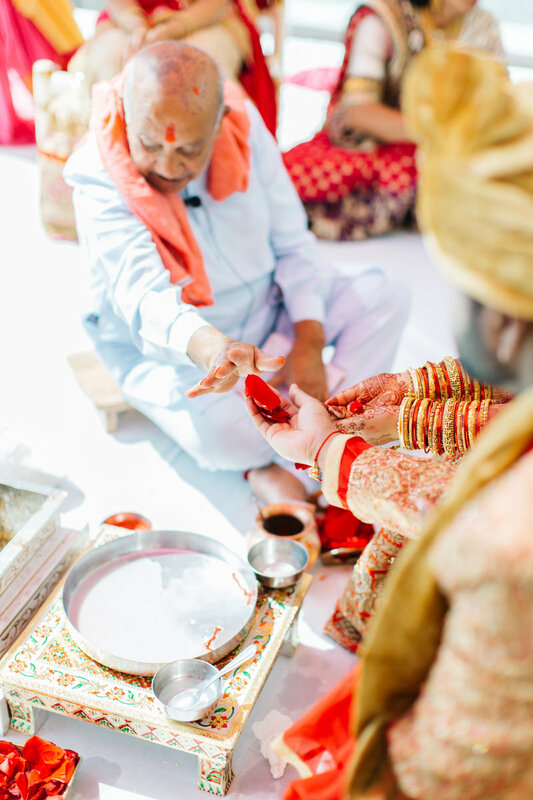 The ceremony took place in the venue’s pristine gardens, where the couple exchanged vows under a luxe pink and orange mandap trimmed with 1,000 red roses across the top. 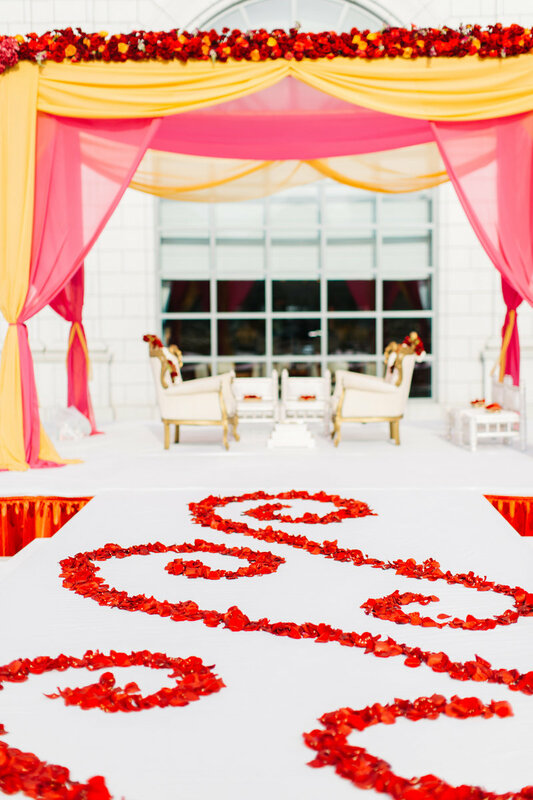 Tropical floral arrangements framed the stately structure, and swirls of red and orange rose petals adorned the aisle. 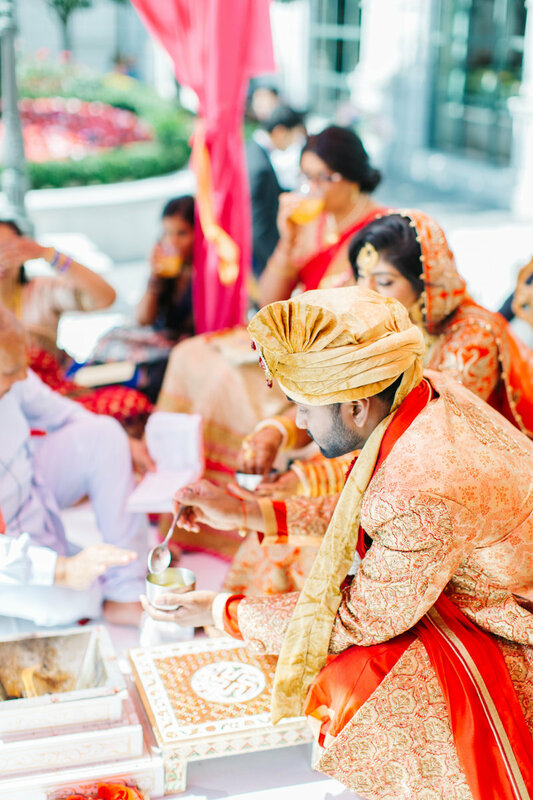 Guests noshed on spicy popcorn and drinks during the traditional ceremony and kept cool in the summer sun with fanciful fans. 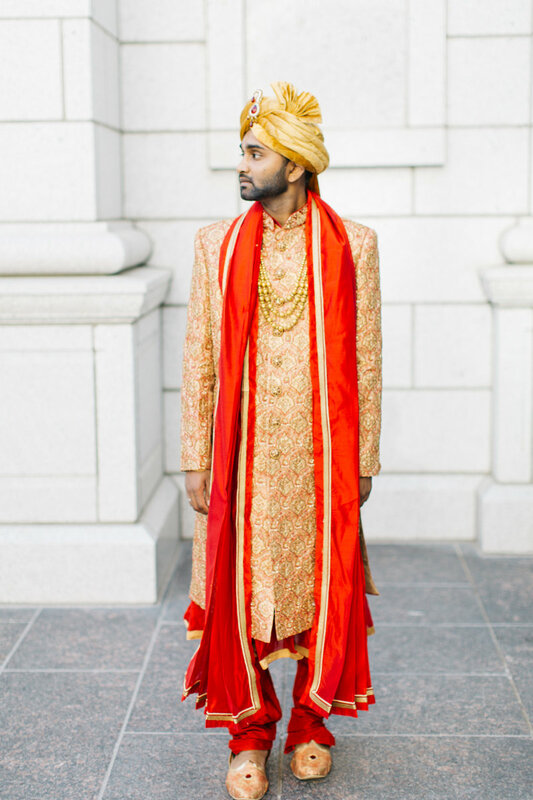 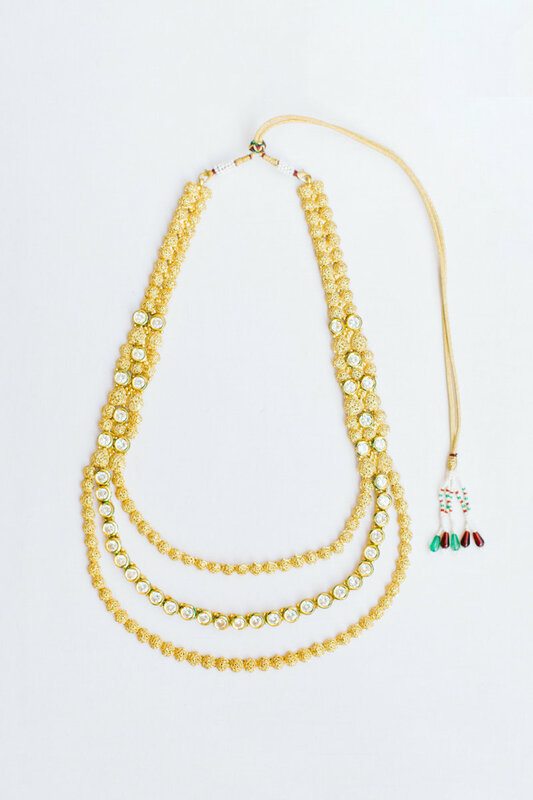 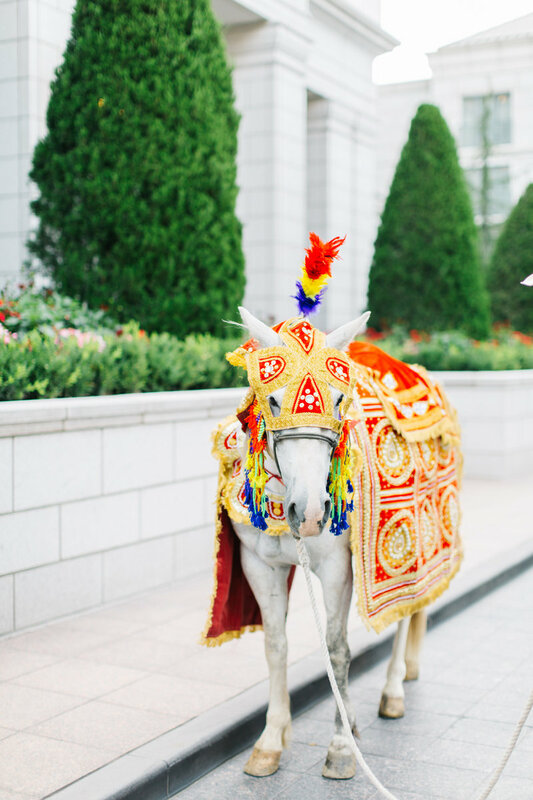 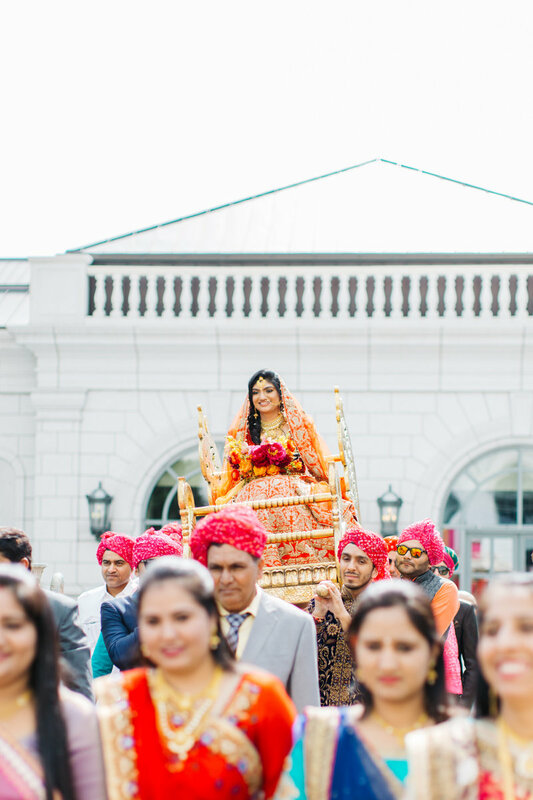 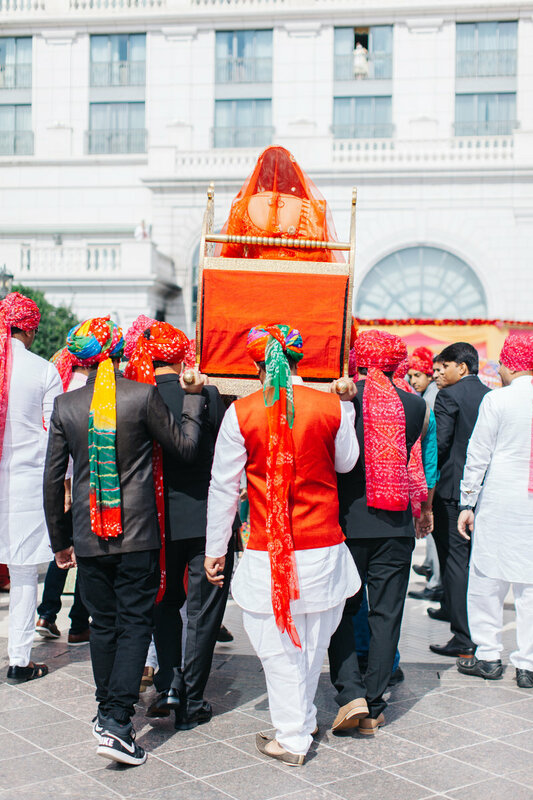 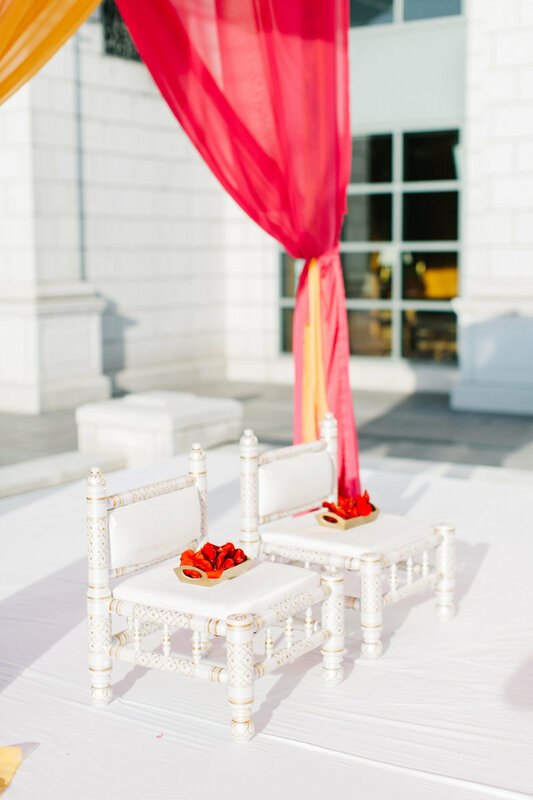 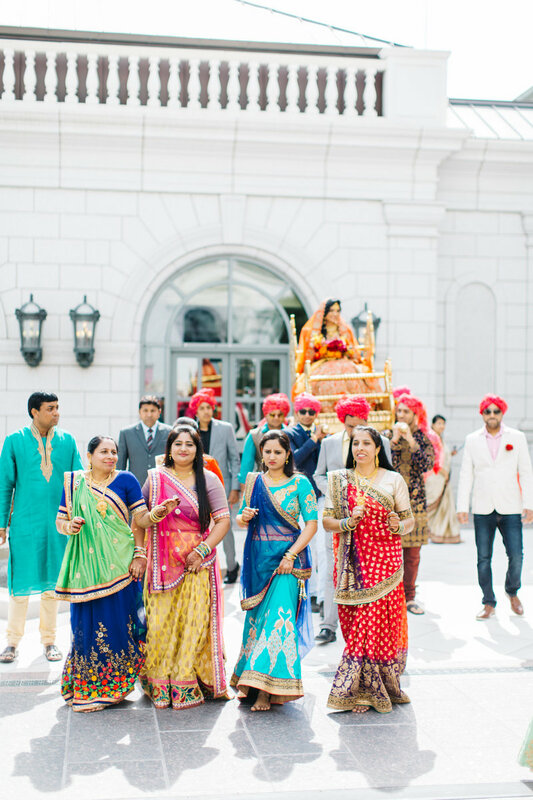 Jay rode into the ceremony on horseback, and Mamta arrived on a gilded doli brought all the way from India. 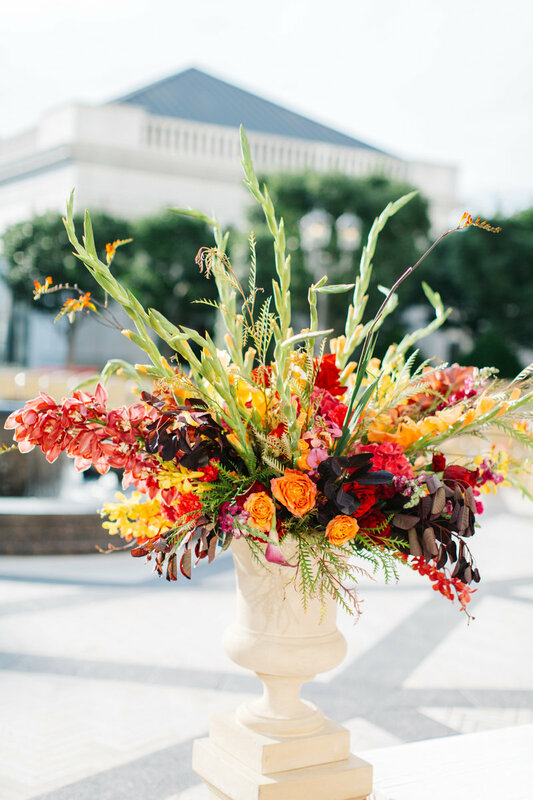 The celebration’s florals were the star of the event, with bold full blooms in shades of fiery orange, rich red and dramatic fuchsia popping against classic white table linens. 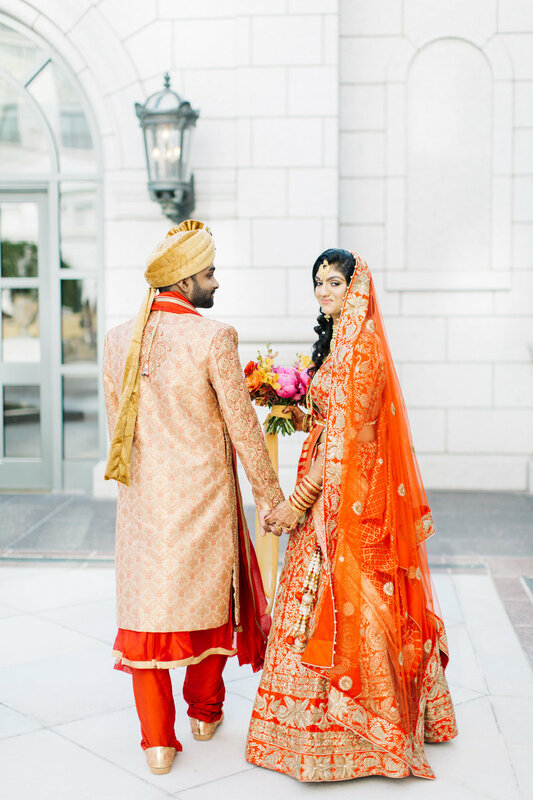 The couple’s five-tier wedding cake was another standout detail, with its unique orange watercolor fondant and gold leaf accents. 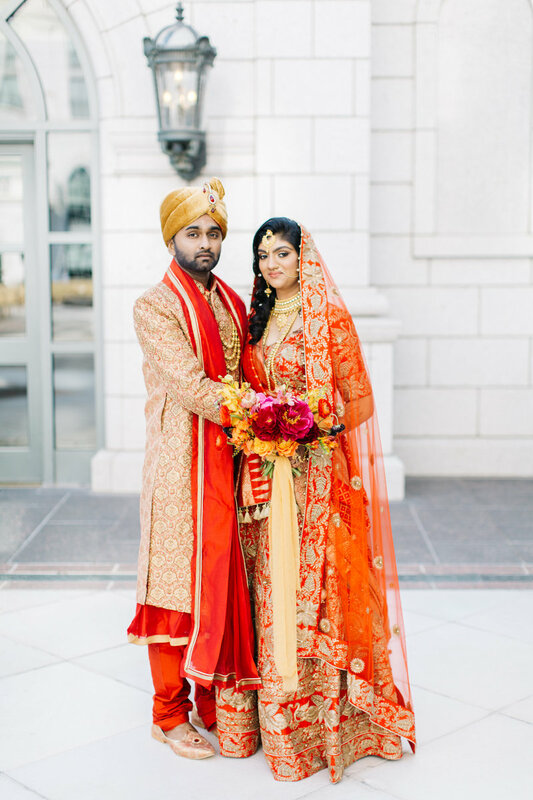 For the reception, the newlyweds ditched their traditional duds in favor of a glam gold beaded gown and white tux. 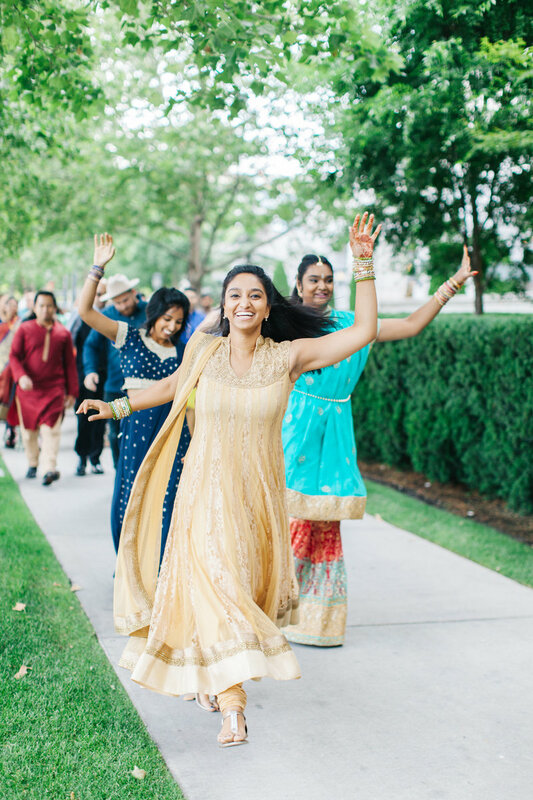 After dinner, the newlyweds were treated to performances by their family and friends before hitting the dance floor."